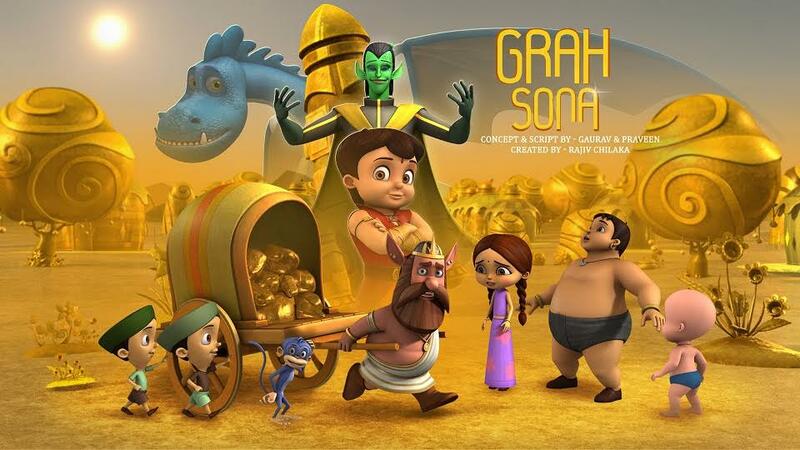 The title of the first episode will be ‘Grah Sona’, where Super Bheem and his gang save the Grah Sona planet from evil Chumbak Dada. As Super Bheem goes weekly, the first episode will see the introduction of yet another menacing villain, Chumbak Dada. Chumbak Dada is after the planet’s gold and he is controlling all the golids, including King Goliad with his golden robots and making them dig up gold nuggets, which he plans to carry in his rocket.The duration of each episode will be eleven minutes. The weekly episodes will showcase a new story line, well balanced with repeats, just so that the young fans don’t miss out on their Super Bheem feast.